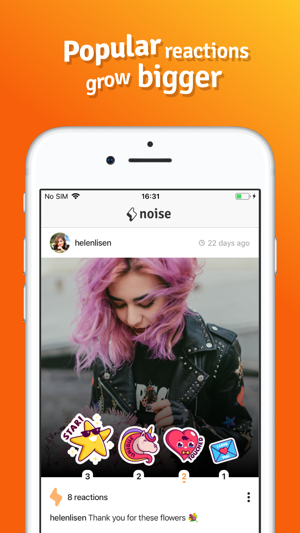 Noise is the first social app that uses sticker reactions to express your feelings towards a photo. 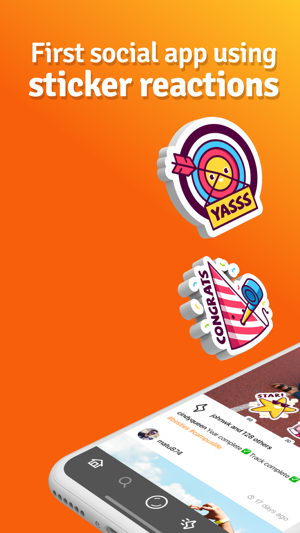 Share a post and get ready to see sticker reactions added by your friends grow right on your picture – more popular the reaction, the bigger the sticker gets! 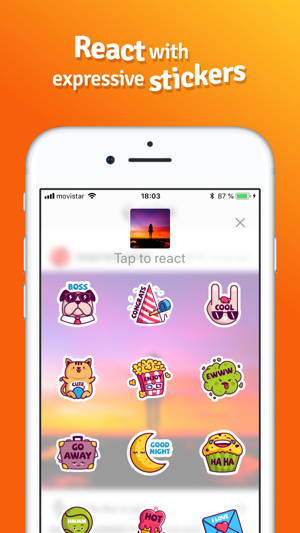 Share photos, react with meaningful stickers, use hashtags and connect with people you care about. 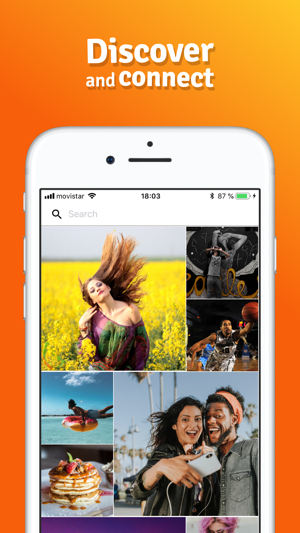 Simply enjoy all perks of social media & photo sharing without ads and irrelevant content. 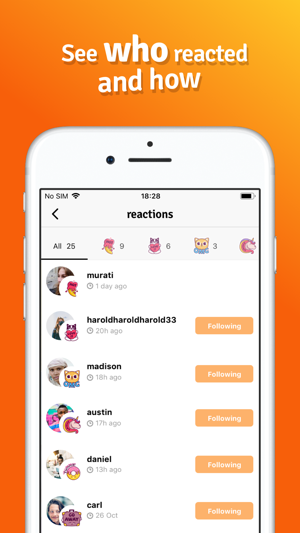 Forget about likes, hearts and other generic reactions: choose one of the many sleek reaction stickers and react with them instead. 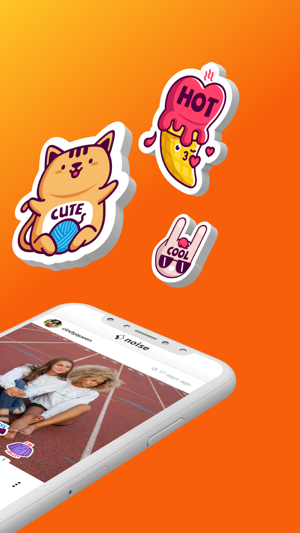 All stickers grow on the photos, so chuckle with excitement seeing reactions sizing up (literally growing on your phone). It’s upbeat & super-fun. Try it. SUGGESTIONS TO FOLLOW - Find your friends easily after signing up! NOTIFICATIONS - Receive a notification when someone you know joins Noise!